Locksmiths Glendale AZ | Local 24 Hour Service | Metro Lock & Safe Inc.
For exceptional locksmiths, Glendale, AZ depends on the fast, accurate technicians at Metro Lock & Safe Inc. That’s because we don’t just provide a single service. Our locksmiths are certified and highly capable technicians and can provide an abundance of services for your safes, locks, and security systems. We pride ourselves on providing great service every time you need it. Get help from locksmiths Glendale AZ trusts in 20 minutes or less! From the time you call we’ll have one of our experienced and friendly locksmiths to your location in 20 minutes or less. Our dedication to arriving quickly doesn’t mean a sacrifice in service. That’s because our master locksmiths are knowledgeable about a wide range of lock, safe, and security system makes and models. They come prepared and fully equipped to handle any problem. Assessment – Our technicians always assess the situation first. That means speaking with you to identify the problem, observing the unit condition, make, model, and formulating the best plan of action. Working with a critical eye allows our locksmiths to accomplish more in a shorter amount of time. Consultation – We’ll always go over the situation before beginning work. If you have any questions about what needs to be done, how much it will cost, and alternative solutions to a problem, we’re always happy to provide answers. If we find multiple solutions we’ll present and explain your options in full. Craftsmanship – Whether it’s repairs, installs, entry or one of our other fine services, our locksmiths take pride in their work. We use the highest quality parts and systems so that you get durability, reliability, and security all in one place. 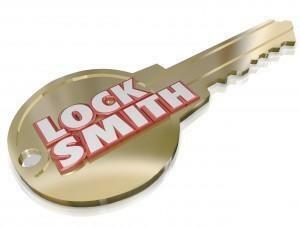 Expert locksmiths for your home and business! Home locksmiths – When it comes to home security in Glendale, AZ, tastes vary widely. We’re happy to provide recommendations if you’re just purchasing a system for the first time. Between different safe types and access methods, lock types, and security systems, you need one of our certified locksmiths when you require help. Our repairs and replacements are carried out using the highest quality parts, and we can advise and set up your home security system. Commercial locksmiths – Businesses often have specialty safes, locks, and alarms. This can include money drop safes and high security locks. When access is restricted it can halt the flow of business, and that’s why for fast locksmiths, Glendale, AZ businesses rely on us. 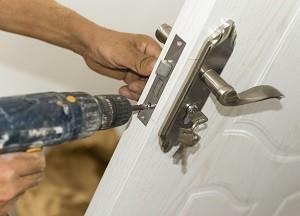 Our technicians can discretely provide services like safe cracking, security installations, and lock changes. When we’re on the job you can expect professionalism and quality workmanship. When you’re looking for reliable locksmiths fast, call (602) 663-9828 or Contact Us for locksmiths in Glendale, AZ today.